All was quiet before Egle Merkyte came to Brussels in 2011. "Lithuania was then the only country in Europe that had no journalists accredited at the EU," the 27-year-old recalled. "Even other countries more affected by the crisis had this - we were the only ones who didn't." 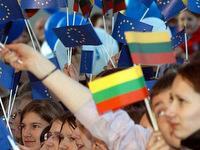 Newspapers and broadcasters had no money, and the European Union was considered a tough sell for Lithuanian audiences. "A lot of people still think that the EU has nothing to do with them," Merkyte told DW. "We're still a long way from recognizing it as 'our' organization." But all that is now due to change. Two colleagues have been sent to join Merkyte from Vilnius, with - reportedly - some financial support from the Lithuanian government. As of July 1, Lithuania will take over the presidency of the Council of the European Union for the first time - for six months, the Baltic state will steer the EU's destiny. It's a big job for a small country. Lithuania has lost a fifth of its population since declaring independence from the Soviet Union. There are only around 3 million people left - fewer than in the German capital city of Berlin. Lithuania joined the EU in 2004, but stayed out of the eurozone - its currency is still the lita. Moreover, the country is taking over the rotating council presidency from Ireland - which, having now had seven tenures, is considered a skillful negotiator and a well-trusted EU leader. That's why skeptics like Ramunas Vilpisauskas, director of the politics department at the University of Vilnius, believe that Lithuania could struggle with the complex negotiations that lie ahead. "To be a successful president, and to be considered credible by others, a country needs success stories - particularly in the areas it has put at the top of its agenda," he told DW. Lithuania wants to put energy issues, the development of the Baltic region, and controls on the EU's outer borders at the center of its presidency. On top of that, the country also wants to bring the EU into closer cooperation with its eastern neighbors, like Ukraine, Georgia, Armenia, and - in the long term - Belarus. The Lithuanian government has invited all these countries to a summit of the so-called Eastern Partnership in Vilnius at the end of November. It would be a considerable success if this resulted in the signing of an association treaty with Ukraine. But that seems unlikely - the political situation in Kyiv is distressed. The EU has been criticizing what it calls Ukraine's "selective justice," particularly in the case of former Premier Yulia Tymoshenko. 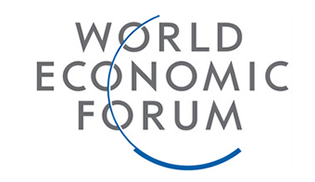 "Our success depends a lot on the situation in those countries and their leaders: will they introduce reforms or not?" commented Vilpisauskas. "Lithuania's chance of having an essential influence is very limited." Lithuanian President Dalia Grybauskaite is a convinced European - her work recently garnered her the Charlemagne Prize, one of the most prestigious European political awards - and she has a lot of faith in diplomacy. "If Europe doesn't try to convince these countries to do more for democracy and human rights, then they won't do anything," Grybauskaite told DW. "We have to push them. We have to help them." Europe, she added, must not lose sight of these countries, even if it requires a lot of patience. There is a sense of urgency on other issues - much has been left unresolved from previous presidencies. Grybauskaite estimated that around 85 percent of the agenda for this presidency was inherited from the past, referring especially to the financial crisis and the extension of the banking union. On top of this, around 70 different laws have to be introduced for the EU budget from 2014 to 2020 alone. Meanwhile the EU's newest member, Croatia, also has to be brought into the process, while European Parliament elections are looming in May 2014. Lithuania's presidency is thus coming at what EU Commission President José Manuel Barroso described as a "time of particularly hard work in the council and the European Parliament." The Lithuanian government is aware of these challenges, and has taken steps to prepare for them, tripling its political personnel in Brussels. "There are now around 200 people there - not just diplomats, but special envoys who understand the most diverse issues," said Vytautas Leskevicius, Lithuania's deputy foreign minister. The website for the presidency went online months ago, and President Grybauskaite has personally set a language test for her government (newly elected last year), under the idea that it is extremely unprofessional to go to Brussels without knowing at least one of its working languages: English, German and French. Lithuania is determined to show its political competence, while projecting that is one of the tasks facing journalists like Egle Merkyte and her two colleagues. But her remit is limited: "My contract runs to just after the end of the presidency," she said. But then again, Lithuania's membership of the EU did not start with the council presidency. "And it won't end with this, either."